ARE DELTA SMELT FINALLY EXTINCT? HAS THE CANARY SUNG ITS LAST SONG? 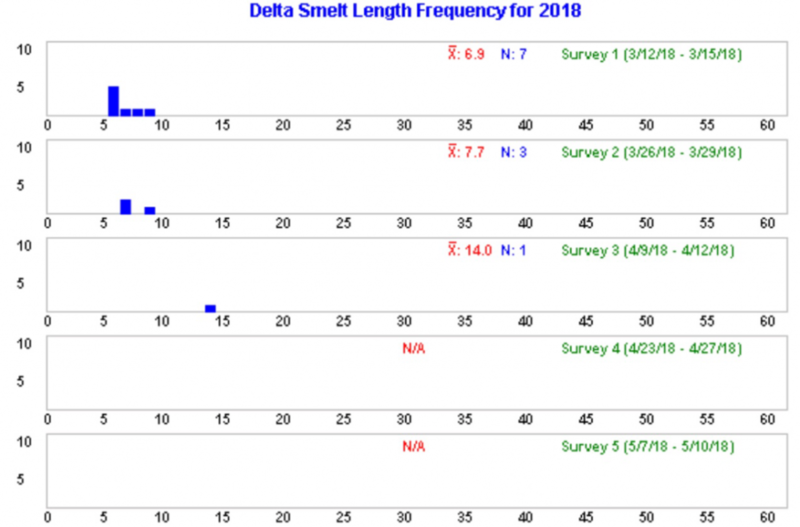 In late April and early May 2018, 20-mm Surveys collected no Delta smelt (Figure 1) in the San Francisco Bay-Delta estuary. It’s a new low for Delta smelt since the survey began in 1995, worse even than the 2017 survey catch (Figure 2). The outlook for the population as indexed by the summer and fall surveys looks grim after record lows from 2012-2017. Despite good conditions in spring 2018, the number of adult spawners was too low, indicating a weak recovery potential. Figure 2. 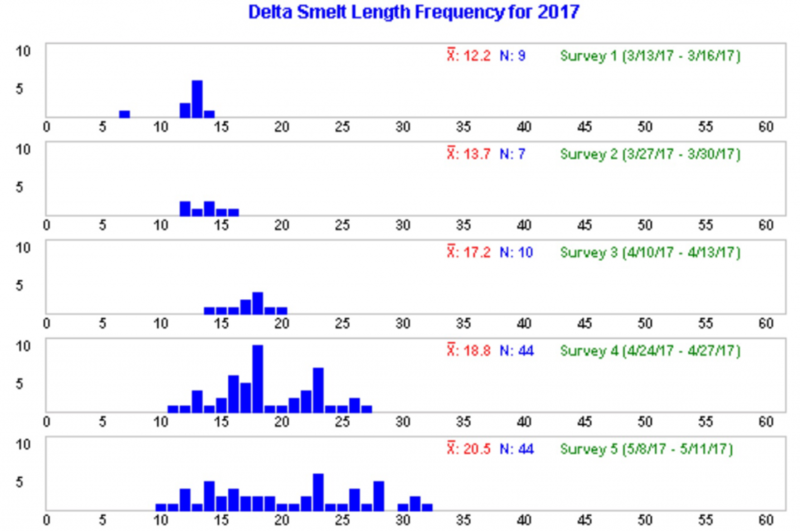 Catch and lengths of Delta smelt collected in the 20-mm Survey in spring 2017.